As the business world spins and evolves into an almost unrecognizable, online fuelled creature, so our entire approach to setting up businesses must adapt. In the space of two eventful decades, business start-ups now face fresh challenges that their forefathers just didn’t. The internet, and the seismic trend changes it has delivered. The global economic & debt crises, and the starvation of available funds for hopeful start-ups. In today’s business environment, in order to reach the absolute apex of business efficiency, you have to embrace and apply brave new schools of business thought. Today, we discuss precisely such a model. It’s a model embraced by Silicon Valley, and one which is now both employed and enjoyed by a clatter of successful new age entrepreneurs and enterprises. Enterprises who understand without a hint of doubt that so drastically has the world business landscape changed, that business start ups now need to be conceived, funded, built and operated with a completely new mindset altogether. Welcome to the new way of doing business. Welcome to Lean Startup. The Lean Startup philosophy could not be more polar to mainstream business philosophy. It’s not about spending a gargantuan fortune on product launches or focus groups. It’s not about securing savage amounts of bling from the usual lenders with the aim of setting up a mass operation that, hopefully and over a very long period of time, will creak sluggishly towards break even. No. Lean startup essentially builds a very basic working model that is put out there to real customers right from the get go. Then, by understanding customer feedback, the product then undergoes continuous improvements while consuming as few resources as possible in doing so. It could not be more customer-centric. Or minimalistic. It could not be far simpler for start-ups to grasp and implement, while simultaneously delving into the wants and needs of actual customers. Customer Segments – Suitable customers are identified. The Problem – The lean canvas encourages you to work with your likely customers to brainstorm the biggest problems faced. Ideally, you’ll want to discuss the three most pressing consumer challenges that your product or service aims to vanquish. Unique Value Proposition – This segment of the canvas boasts about the unique benefits that are only available through your product or service. The Solution – For the problems identified, sketch out some possible solutions for them. Determine Channels – Because lean startup requires you to work with your actual customers, the channels of product distribution should at least partially be readily sorted. Revenue Streams – Details what price tiers you’re going to be charging for your products or services. This is a key area where the lean startup methodology deviates from standard plans and start-ups. Traditionally, business will wait until a product is “perfect” before they will charge for it. With lean startup, the product only needs to be able to solve the basic customer need to start fixing revenues, and to actually start earning. Cost Structure – Highlights what major costs the business will face. Key Metrics – What fundamental calculations will be used to assess the initial product performance? Unfair Advantage – This needs to be a robust advantage that your product or service can offer. It should not be something that a competitor could duplicate with any degree of ease. As such, it’s among the harder of the lean canvas squares to populate. Beautifully simple, concise yet containing all the key information that your average, bloated 30 page business plan might possess. Minimum Viable Product (MVP) – This is the most basic and minimalistic version of a product that can be put out there, to enable the business to kick start the validated learning process. The major advantage with creating a minimum viable product is that it can be done at a fraction of the cost of traditional product development. Continuous Deployment – This simply means, a new feature is immediately set into play as soon as it is developed. For example, if a new piece of code is written to improve an existing piece of software, it gets used the moment the programmer has finished writing it. Split Testing (A/B Testing) – With split testing, customers are offered different versions of the product, and the behaviour and reactions to these differences are measured via key metrics. Actionable Metrics – These are ruthless metrics, devised to provide the true picture of product performance. Using actionable metrics involves understanding what measures within the company, and product range, are of epic importance. For an online membership site, both traffic and paid subscribers would form the underlying basis of any actionable metrics calculations. Pivot – A perfect example of lean start-up methodology, a pivot is a point at which the company does something differently, based upon evidence received that (one or more) existing procedures are not producing desirable results. It allows management maximum flexibility to react quickly to test data, and make changes within the earliest stages of the product development cycle. Lean startup is more than a passing fad. 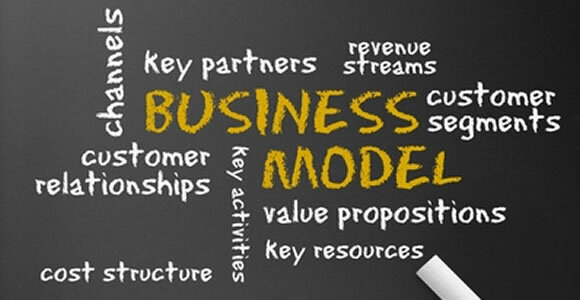 It’s a business movement that caters to the increasing desire for financiers, shareholders and management to see resource management with optimum efficiencies, while cutting down on the needless pomp, extravagance and fuzzy product theories that so often don’t pan out. In these savagely austere times, we all need to be that little bit leaner.